Are you searching for an entry-level server solution with performance and reliability for your data to replace a standard desktop? The HPE ProLiant ML10 Gen 9 server is the lowest acquisition of the ProLiant server family and is the right choice to be your first server. Also, the debate to buy it has been made easier as currently until May 31st you can claim £70 Cashback when you purchase this and fill out the Claim Form. 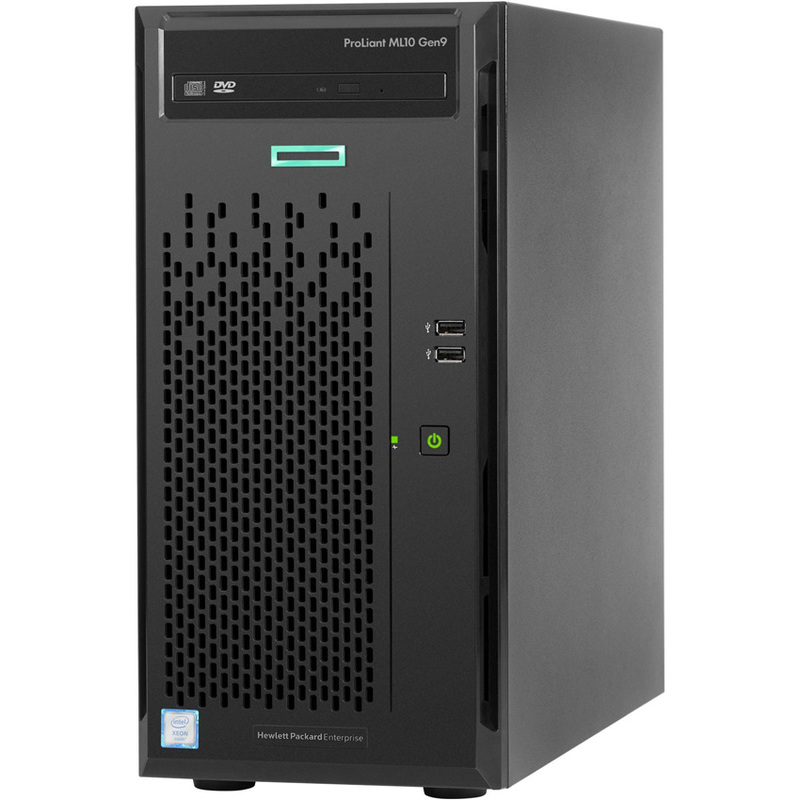 The HPE ProLiant ML10 Gen9 Server provides server level performance in a quiet, compact size that is easy to deploy in your home or your small business. Its affordable price will persuade you to turn to a server solution to control and manage your data. Also, the HPE ProLiant ML10 Gen9 Server offers expandability with internal support for up to six Large Form Factor (LFF) disk drives. Space-friendly size of 17.5cm x 40.13cm x 36.76cm (WxDxH) and weighing a moderately light 6.68kg to deploy anywhere in the office easily. Processor – Intel Pentium G4400 – 3.3 GHz. Also, it supports the Intel Xeon® E3-1200 v5 processor in a 4U chassis offering increased performance and efficiency. RAM – 4 GB/ 64GB Max giving you the power to upgrade to your budget. Cache Memory and Cache Per Processor at 3MB. Warranty – 1-year warranty On-site. If you are unsure if this product is for you, we are able to help you find the perfect fit. You can contact our team via email on Support@IT-Supplier.co.uk or alternatively call us on 0203 328 5655. Furthermore, at IT-Supplier we have new Cashback deals and Promos each month available to you that you can check out on our website today.